Welcome to Merced High School's FFA website. Merced High is the Home of Scholars and Champions, that motto definitely shines through our FFA chapter and all we have to offer, including our FFA program. 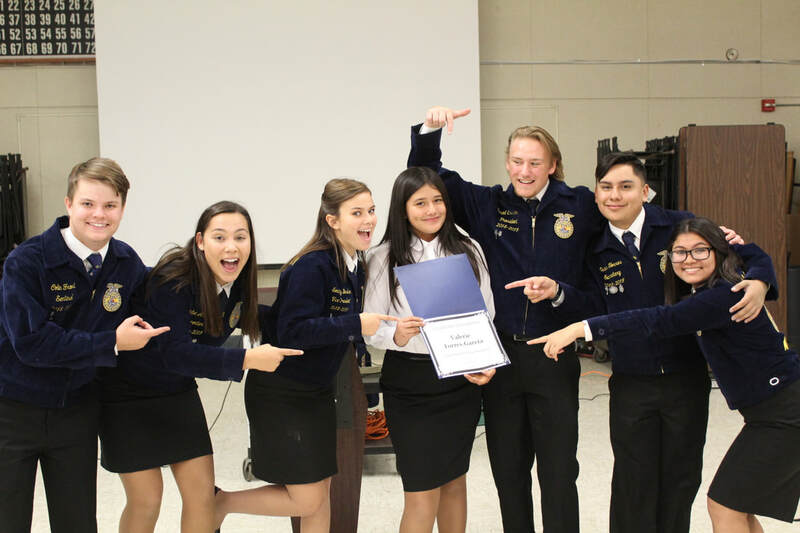 Our 680 members have opportunities to participate in public speaking contests, Career Development Events ,community service, animal production, leadership activities, and much more! FFA is more than a club. We are the largest student-run organization on campus. We take pride in our members and all of their achievements! The Agriculture Department is our home away from home, and we like to think of ourselves as a FFAmily.